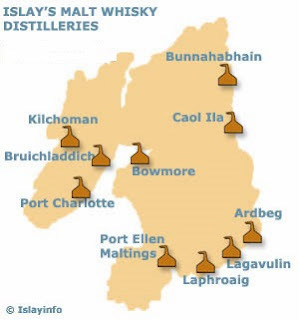 No Scotch Sunday would be complete without a tip of the hat to "The Queen of the Hebrides", better known as Islay, and today Sukasa Style reviews the entry level 10 year whiskey from Laphroaig. When you open Laphroaig's characteristic lime green bottle you immediately smell the salt in the sea air and the seaweed washing on the shore, and perhaps you also think of "the beautiful hollow by the broad bay" (its Gaelic namesake) with its characteristic peat. Whatever the first impression, the salt and seaweed is always paired with a medicinal character and you sometimes get a waft of smoke competing with the iodine. The medicinal flavour was a reason that it was among a select group of Scotch whiskies permitted into the United States during Prohibition -- yes, you could get a doctor to give you a prescription for this dram! As your Sukasa Style reviewers can attest, it is far more effective at curing what ails than a smoother malt. If you love the nose then you won't be disappointed with what remains in the taste: seaweed, salt, some sherry that is wrapped in smokiness and a surprising bit of sweetness. Why you should buy it: consider what else is at Kildalton and you have neighbouring Lagavulin and Ardberg, fine distilleries in their own right, and you will be paying $20 more per bottle in Ontario. (Granted, all prices in Ontario are at a hefty premium to those across the national border, but the Laphroaig discount remains). The finish is big, long, and reminiscent of the salt air. 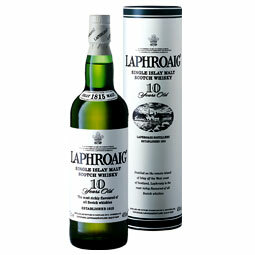 For an evening of single malt drinking, please be sure to drink this dram last lest you want everything to taste of Laphroaig. Made in Scotland, United Kingdom By: Allied Distilleries Ltd.
Add water to help open up.